The onslaught of information from the wired world can be overwhelming to anyone -- even the savviest online audiences. But rather than completely shut out the digital world, the smarter solution is to learn how to manage it, says author Howard Rheingold. 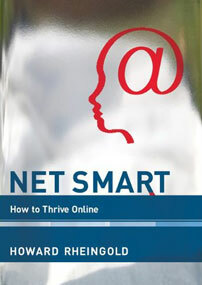 In his book Net Smart: How to Thrive Online, Rheingold outlines the potential merits of the vast digital landscape, and offers ideas on how to lasso the unwieldy aspects and use it for good. In a recent conversation on the Forum talk program, Rheingold stresses the importance of intention when it comes to managing digital noise. Knowing that every click will likely to lead to a chunk of time spent on what follows will help people decide if that's worthwhile. Every click counts. "I think [there's] this matter of meta-cognition, of knowing where you're putting your attention," he told Michael Krasny on Forum. "You need to make decisions. 'Am I going to click on that link? Am I going to maybe open a tab for it on my browser and look at it later? Am I going to bookmark it to look at it much later or am I going to ignore it?' You need to make those decisions consciously and I think most of us make them unconsciously... We wouldn't have so many cute cat videos if people didn't click on impulse." "You need to make decisions. 'Am I going to click on that link? You need to make those decisions consciously." Rheingold advises all of us to create a specific plan when we're online, and to follow through. "You have to make [decisions] in the context of what you intend to get done for the day. Write down, with good old right-brain pencil and paper, three things you want to get done [online] today, and just two or three words each, and put that in the periphery of your vision," he said. "And when your gaze falls upon it, simply ask yourself 'Is what I'm doing now going to get me to where I need to be by the end of the day?' I'm not asking you to admonish yourself or to make any changes to your routine, I'm only asking you to add a little layer of awareness." This exercise in self-control can be honed over time with tools like meditation, Rheingold writes in a chapter called "Attention!" "Mindfuless in all its forms and applications certainly is an end in itself, but practicing mindfulness in regard to online attention serves a specific strategic goal," he writes. "Your goal and mine in this context is not just the control but also the management of attention." As the digital landscape continues to shift under our feet, it's that much more important for parents to be aware of the subtleties of having an online identity and life. 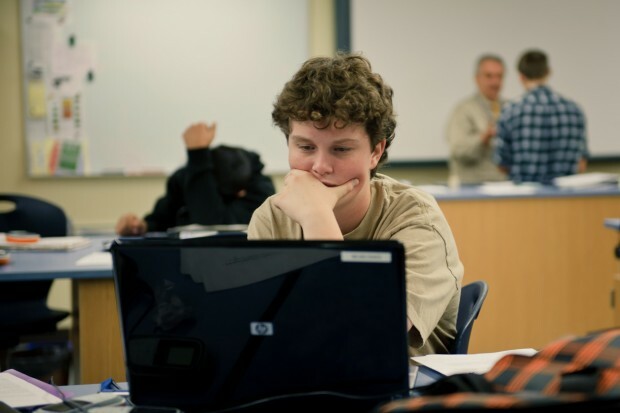 Though the media portrays the Web as a "den of frivolity," Rheingold writes that it also presents an appropriate place for young people to experiment with their identity. "What they are learning is not altogether detrimental to themselves and the society they are going to build when they come of age," he writes. At the same time, kids needs to be aware that their online lives will leave indefinite footprints. "Kids need to be told before they get online that nowadays everything that you put online is going to be there forever, it's going to be searchable, it can be connected to your name, it can be reproduced, and it can be spread around the world," he said. "Kids have always done dumb things and they've always kind of said snarky things about each other and they've always had their best friends. They've never had them reproduced forever, search-ibly and reproduce-ibly and able to be broadcast everywhere. You need to know some of these things before you dip your toe in." And though the media is rife with stories of online bullying -- with good reason, as it is a common phenomenon -- the development of audio and video chats like Skype and FaceTime on Apple devices may help to ameliorate online attacks. "There's something about face to face that can't be duplicated online. But a great deal of that signaling can be duplicated with audio and video," Rheingold said. "So I think we're getting a richer form of communication than we used to have. Here's a research question for some sociologist: Are people going to flame each other when we have universal audio and video or is that an artifact of the text-only world?"